My "look" for the second night of seeing the Go-Go's (with INXS) at Pine Knob in Detroit, circa 1984. 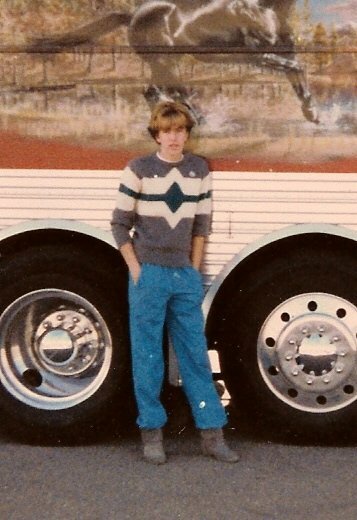 That's the girls' tour bus -- and a Bananarama button on my sweater. More photos from our stalking mission-- we got all of them but Kathy -- HERE.